The International Conference for Internet Technology and Secured Transactions has the objective of bringing together academics and industry experts in an effort to promote the development of successful new partnerships. The event is currently in its 8th edition. The ICITST conference takes place in the month of December in London. 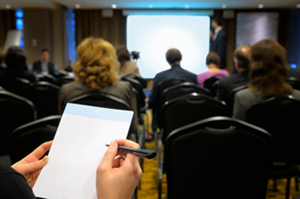 This conference consists of a series of academic papers, case studies, tutorials, workshops, panel discussions, and virtual presentations, which deal with subject areas like information security, cloud computing and cloud security, multimedia and web services, infonomics, applied research, secure software development, and digital forensics, to mention just a few. The International Conference for Internet Technology and Secured Transactions is organised by a committee of prestigious academics from world-class institutions like the University of Reading, the University of St Andrew's, the Infonomics Society, the University of London, the Dublin Institute of Technology, Simon Fraser University, the Korean Aerospace University, the American University of Beirut, CA Technologies, Italy's National Research Council, British Telecom, and the National Taiwan University for Science and Technology. Awards are given to the best paper and best poster presenters. Papers have been delivered on subjects like biometrics, embedded systems, chaos-based data security, content filtering, social engineering, pervasive and distributed systems security, e-government, web metrics, mining and web intelligence, cloud audit protocols, fraud management, database forensics, and authentication techniques. Past workshop topics included e-learning security, cryptography, and security in ubiquitous computing environments. The venue for the International Conference for Internet Technology and Secured Transactions is the Thistle Hotel in London Heathrow. Its full address is Bath Road, Heathrow, UB7 0EQ, London. The hotel is next to Heathrow's terminal 5. For delegates who travel by car, the venue is located off the M4 motorway and next to the M25. On-site parking is readily available.